Carolyn Dike joined Bellator Real Estate & Development as a full-time Realtor® in early 2015. She currently markets new construction built by Ray Scott Construction Inc. Carolyn takes the extra step with her listings by handling processes such as cleaning, landscaping, staging, etc. She is licensed in Alabama and Florida. Before joining Bellator, Carolyn had a rich history or real estate experience. She started by working full-time in Nashville for Crye-Leike Real Estate Services where she was among the top 20 agents in the area. In 1996 she moved to St. Petersburg, FL where she worked with Remax Realty and Century 21. In 2002 Carolyn made her way back to the Gulf Coast and joined in with Coldwell Banker South Shore (later renamed RealtySouth) located in Orange Beach, AL. In her real estate career, Carolyn has been recognized for her diligence and excellent sales achievements. She was among the top agents in Nashville with Crye-Leike and received several awards from previous agencies. In both September and December 2014, she was named the top sales agent. Born and raised in New Orleans, LA, Carolyn graduated with her B.S. in Biology from the University of Southwest Louisiana with a focus in Marine Biology. While pursuing her degree, she also studied Real Estate to obtain her license in Nashville, TN in 1993. 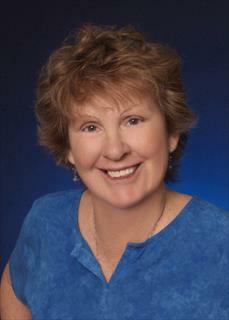 Carolyn went on to earn her Certified Residential Specialist (CSI) and Graduate, Realtor® Institute (GRI) designations. Lastly she went back to school to achieve her B.S. in Education. Carolyn enjoys her time away from work by relaxing with family and friends. She is a strong Christian woman who enjoys learning more about God and finding ways she can give back to the community. She also has a green thumb and loves to be outdoors in the garden. Carolyn is married and has three sons.